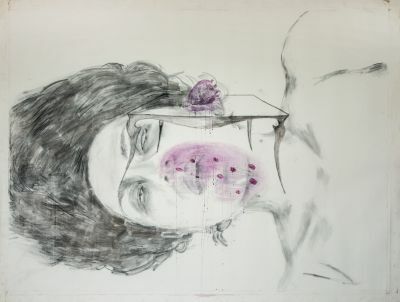 Sharjah Art Foundation presents a retrospective exhibition of artist Amal Kenawy (1974–2012) since her passing. The exhibition will bring together a full range of the artist’s works, from animation, painting, drawing, sketches and journals to video works, installations, performance documentation and archival material. Both well-known works such as Silence of the Sheep (2009) and some of her lesser-known early works, such as, Frozen Memory (2002), will be featured. With elegant gestures of significant symbolic weight, Kenawy explored political, social and feminist issues, primarily in Egypt, and reflected on topics of death and regeneration. She balanced notions of memory and illusion against tangible and intangible dimensions of lived reality, using the body as a site of violence, desire, memory and transcendence.